While Google and Facebook still outstrip Amazon in users and value, Amazon now owns more behavioral and purchase data on your clients than either of its main digital competitors. For now, the e-commerce giant lacks the reach and knowledge of Facebook or Google, but Amazon's power lies in what it knows and not just in how much data it has accrued. Google knows what we want to know. Facebook knows who we like and what our opinions are. But Amazon knows what we want to buy. For e-commerce retail brands, that knowledge is gold. It has our wish lists, our product searches and a focus on user experience that makes their conversion rate grow constantly. Not only does Amazon possess a massive data bank and the ability to monetize that data, but it also sets the standard for personalization in digital media. As WBR's etail said, "The Amazon algorithm is in a constant state of up-sell." The company understands the digital customer experience so well it has set a new expectation among online buyers. They want to speak to Alexa through their Echo speaker and find the product they want fast and easy. They also like Amazon Prime and the fact that it offers two-day shipping. They like having a large selection of items to choose from, product reviews to help them choose and good customer service. Amazon customers now expect all shopping trips to be like Amazon. All that means that Amazon is no longer a stop-and-shop internet retail marketplace. Instead, it controls the world of digital shopping. An estimated 55% of online shopping expeditions begin at Amazon with 44% of those turning into buys. So when you're buying an Amazon ad, your marketing placement is right in the spot where your purchase-ready customers hang out online. Amazon is now a media channel to be programmed and dealt with the same as Google or Facebook, not just a counter over which people do business. Its future growth appears oriented toward enhancing its status as a media company that exists right at the point of sale. "If brands aren’t thinking about Amazon as a media platform, they run the risk of becoming obsolete," Joe Migliozzi, Shop+ lead at Mindshare, said." Understanding where and how to spend media dollars on Amazon is important, and integrating that spend into the rest of your media strategy is where brand loyalty and greater demand are achieved." Amazon plays an important role in building brand awareness through growing buyers loyalty and driving sales. Marketers can't ignore Amazon as a marketing tool when building a marketing plan anymore. A well-thought marketing campaign must include social media marketing, content marketing to drive people to your landing page but also an Amazon marketing strategy. Amazon is increasing advertising both on and off its website. 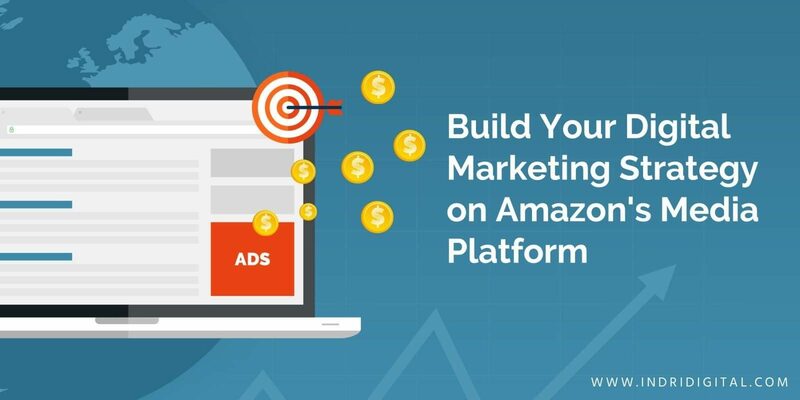 So you will need to plan what do you want to use Amazon for as part of your marketing strategy: maybe extend the reach of your social media campaigns, to drive up brand awareness, or to increase conversions and sales. It is up to you. Display advertising works hand-in-glove with search to bring consumers to your product's Amazon page. By enhancing search with display ads, you can lengthen your reach, strengthen your creative engagement and ultimately increase sales. While search ads focus on keywords, charge by the click, and provide an immediate sales increase, display ads focus on messaging, charge by the impression, and provide a long-term growth strategy. Amazon display ads can re-engage brand shoppers, reach a larger qualifying audience, and give your message a bigger voice. The world is going mobile and so is online shopping. The migration to mobile doesn't simply mean buyers use phones or tablets instead of desktops. It also means they shop from different physical locations and often with different intentions and buying interests than a desktop user. Mobile allows shoppers to browse and not just buy, to compare online prices with items in a brick-and-mortar store, and to start shopping in one location and finish in another. Mobile banner ads capture attention at critical points of a buyer's journey. The mobile banner ads help you reach mobile users on a number of third-party mobile apps on iOS, Android or Fire Tablet. Mobile banner ads capture attention at critical points of a buyer's journey. In 2017, Amazon raised the advertising stakes when it launched video ads. Since then, the demand for Amazon video ads has increased rapidly. Lego, one of the first major companies to test video advertising on Amazon, is looking to do more of it. In response, Amazon is promising e-commerce brands that it will soon offer new ad formats. An interstitial ad is a clickable, responsive ad that covers a full screen. On Amazon, these ads also contain a prominent close button to minimize shopper disruption. Amazon began offering interstitial ads to retailers in 2014, and despite some users finding them annoying, these ads boast the second highest click through rate of all ad types. Joining the social media revolution, Amazon introduced Spark in 2017. The Spark platform is a type of hybrid between Pinterest and Instagram, making use of Instagram's photo-feed style while maintaining the featured products list of Pinterest. Of course, Spark's distinguishing feature is its connection to Amazon. Not only can you see photos of amazing things you want to buy and read about clever ways to use them, you can actually click right through to the Amazon page selling that merchandise. It's a social engagement platform centered around e-commerce. According to Martech Today, Amazon's new social media platform will aid in product discovery by filling user's feeds with items related to their interests. Spark will also promote Amazon's Prime memberships, and of course, collect even more data for Amazon to crunch. E-commerce brands can get involved with Spark by paying influencers or engaging with "on-site associates" who can produce great content - these can be brand employees. So far, Spark has not lit a flame in the e-commerce world, and some media buyers big agencies say Amazon is hardly pushing it. Whether this platform takes off or not remains to be seen. That social media and e-commerce will knit together more tightly, however, is much more certain. And when it happens, it will happen through Amazon. Using Amazon as a storefront or even as a search engine ignores the company's most powerful component - its capacity as a media platform. And in today's world, you can't afford to do that anymore. Amazon gives you insight into the consumption patterns of your clients that you cannot get from any other social media or marketing platforms. It helps you discover the best audience for a campaign and build an accurate profile of your target audience. This is all groundbreaking information for small business who are looking for new customers outside their social platforms and product promotion campaigns. Contact us today, and we can talk about the best strategy to help your brand grow its customer base on Amazon.